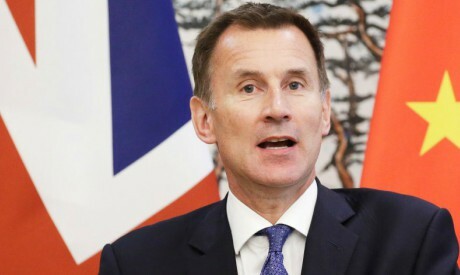 British foreign minister Jeremy Hunt said on Saturday that the European Union should end its blanket refusals of British proposals in Brexit talks, as any belief that Britain would capitulate was misplaced. Hunt, who voted 'remain' in the 2016 referendum on EU membership, said that people in Britain were increasingly content to leave the bloc without a deal, a day after Prime Minister Theresa May said talks had hit an impasse and demanded new proposals and respect from EU leaders. "If the EU's view is that just by saying no to every proposal made by the United Kingdom, we will eventually capitulate and end up either with a Norway option or indeed staying in the EU, if that is there view then they've profoundly misjudged he British people," Hunt told BBC radio. "We may be polite, but we have a bottom line. And so they need to engage with us now in seriousness."